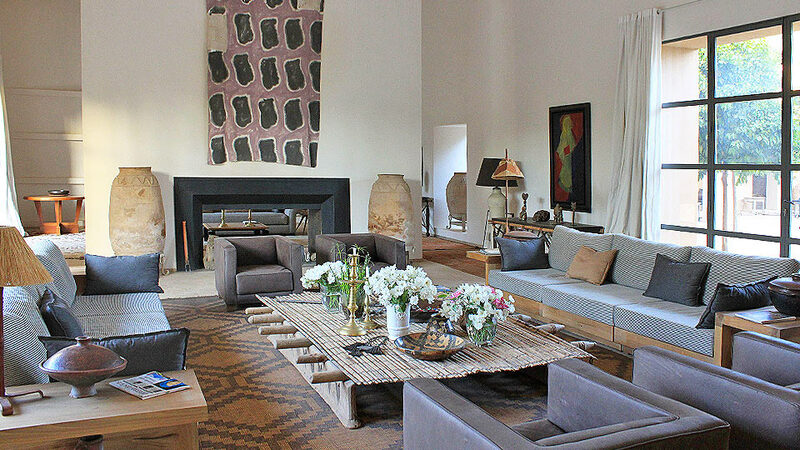 La Tour des Faucons is a 9 bedroom idyllic retreat, which can be let as a whole, or in smaller bedroom units. 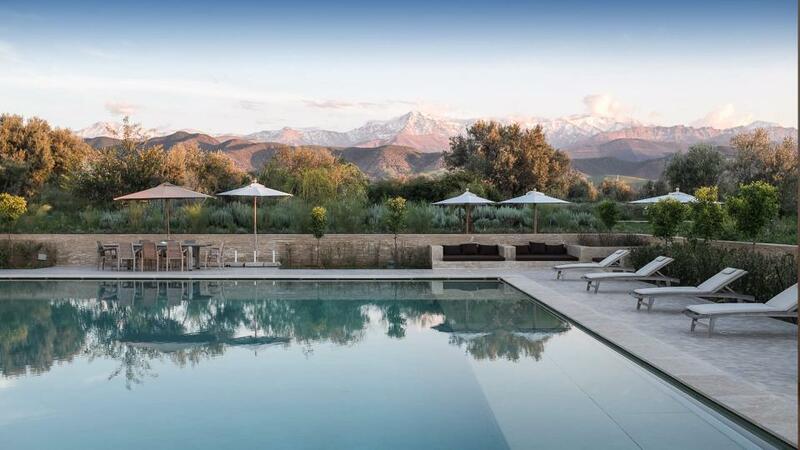 The property comprises of a spacious contemporary style villa and tower featuring 6 bedrooms, plus a separate renovated farmhouse (3 bedrooms including 1 single bedroom), and is located outside Taroudant, between the High Atlas and Anti-Atlas mountain ranges. Each of the bedrooms have an ensuite bathroom with dual under floor air conditioning and heating, quality bathrobes and towels; the larger suites also have a dressing room, sitting area and a private balcony or terrace. 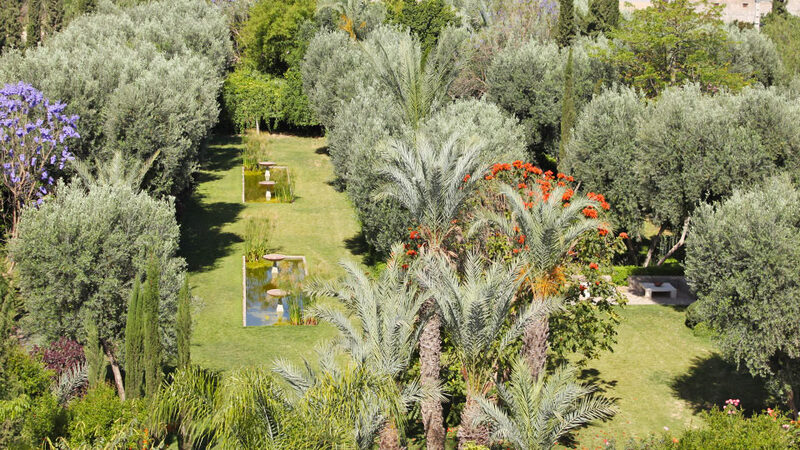 With its extensive grounds of palm and olive trees (producing its own organic olive oil), exotic flower-filled gardens with a special Andalucian water feature, huge outdoor terraces and swimming pool. Total floor area: 1,700m². The main villa has spacious living accommodation and 6 large suites, and the renovated farmhouse has another 2 interconnecting suites, plus 1 further single bedroom. 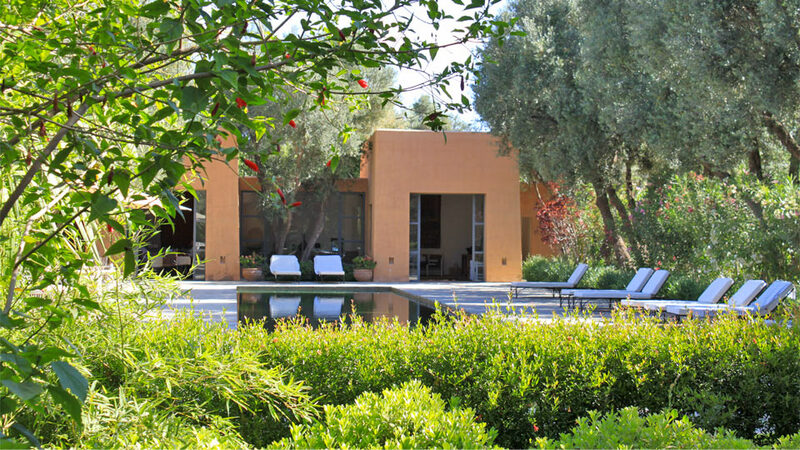 Set around a large central courtyard amongst lush gardens with orange and olive trees, there are many separate terraces or patios, providing plenty of space to relax in. All suites and bedrooms have double beds and their own bathroom with WC and showers; 2 suites have a full bath and 2 have king-size beds. There is a dual under floor cooling/heating system, plus a smaller double/single room, suitable for a nanny or a teenager. 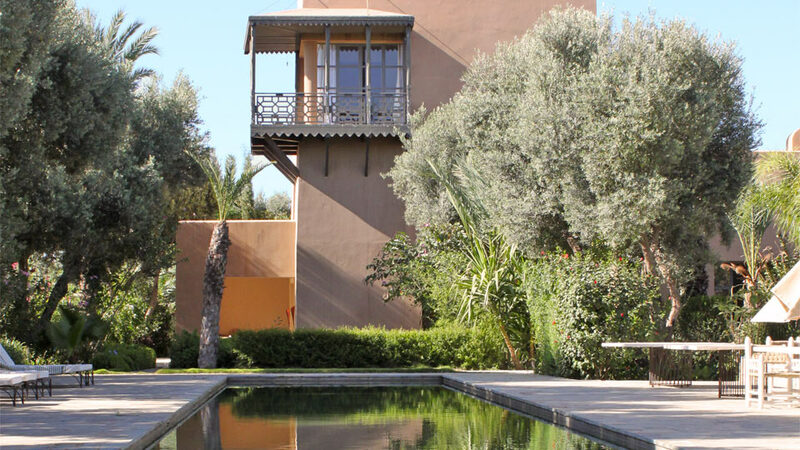 The property offers a total living space of 1,700m² plus all modern comforts, combining traditional rammed earth desert architecture with contemporary stylish interiors, including the owner’s impressive collection of Moroccan Berber antiquities, and collection of modern paintings. With its extensive grounds of palm and olive trees (producing its own organic olive oil), exotic flower-filled gardens, huge outdoor terraces and swimming pool, The Falcon’s Tower is a haven of tranquillity and an ideal place to come to chill out in. 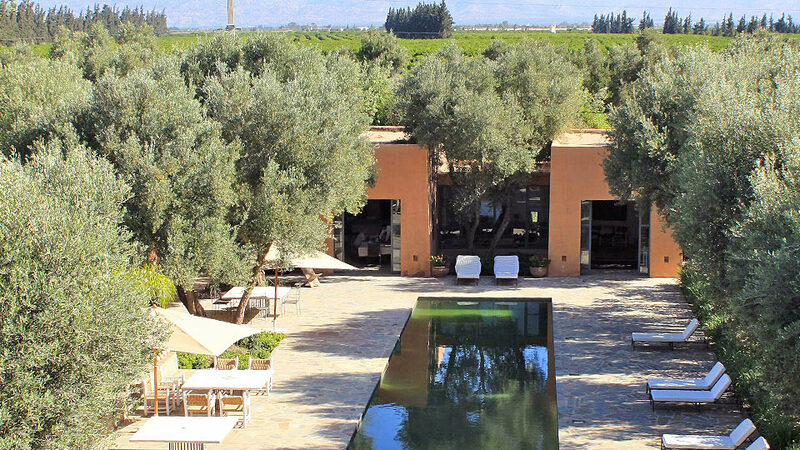 It also makes a wonderful base for exploring the palm groves, oases and deserted sandy beaches in this unspoilt corner of Morocco. - This property is not self catering. Food and drinks are exclusively provided by the staff.